this was BEAUTIFUL. perhaps the most beautiful lullabye i’ve ever heard. lilah tov! Thanks Brant….I loved hearing the lullaby. Beautiful piece on Judy Frankel! Judy was an exceptional person and I feel so blessed I had a chance to meet and work with her. Thank you for your piece. After using Judy’s recordings in workshops on el mundo sefaradi, I finally met her when she gave a concert in Sacramento, CA. 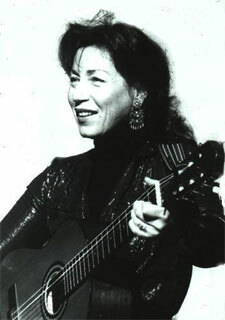 A charming presence, always interested in the Ladino-speaking world, she did much to popularize the almost forgotten melodies. I loved your description of Judy – beautiful writing. http://www.pbase.com/andrys/judyfrankel — where there are options for fast-internet and the slower dial-up modems.